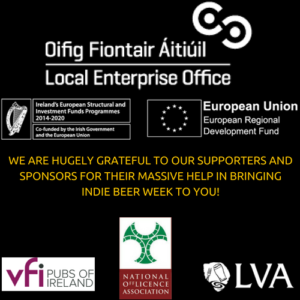 Indie Beer Week is a weeklong celebration of independent Irish brewing. From Cork to Donegal, Galway to Dublin, your local breweries will be opening their doors for fun and excitement. Tours, tastings, music, food, and much, much more, awaits. So get out there and visit your local independent brewery where real beer is made!